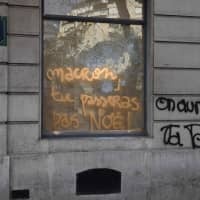 PARIS - Pressure mounted on French President Emmanuel Macron to announce concrete measures to calm protests marked by violence when he addresses the nation Monday evening, and breaks a long silence widely seen as aggravating a crisis that has shaken the government and the whole country. Macron will speak from the presidential Elysee Palace at 8 p.m. (1900 GMT), an Elysee official said. The official wasn’t authorized to speak publicly and requested anonymity. Government spokesman Benjamin Griveaux said earlier on LCI TV station he was “sure (Macron) will know how to find the path to the hearts of the French, speak to their hearts.” But, he added, a “magic wand” won’t solve all the problems of the protesters, known as “yellow vests” for the fluorescent safety vests they often wear. 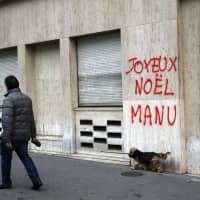 “Macron is there for the rich, not for all the French,” 68-year-old retiree Jean-Pierre Meunuer said Saturday. Retirees are among the categories to be punished by his policies. However, the president must also speak to protesters’ pocketbooks. Among myriad demands was increased buying power. 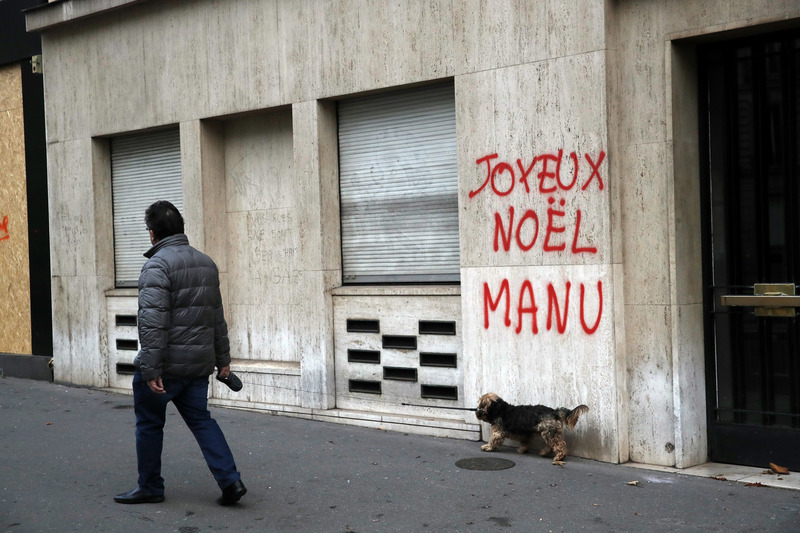 The number of injured in Paris and nationwide was down Saturday from rioting a week ago. Still, TV footage broadcast around the world of the violence in Paris neighborhoods popular with tourists has tarnished the country’s image. A number of tourists at the Eiffel Tower, which reopened Sunday after closing Saturday, said they were avoiding the Champs-Elysees, Paris’ main avenue that is lined with shops and cafes and normally a magnet for foreign visitors. 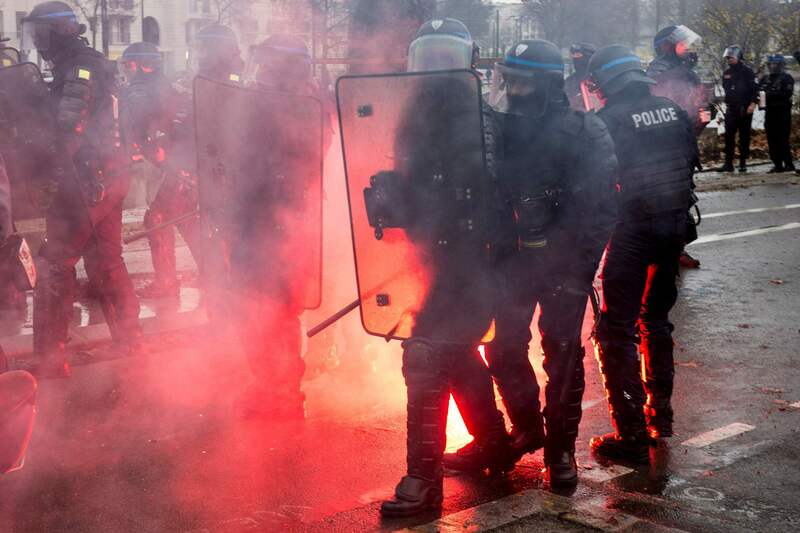 France deployed around 89,000 police but still failed to deter the determined protesters. More than 125,000 “yellow vests” took to the streets Saturday around France with a bevy of demands related to high living costs and a sense that Macron favors the elite and is trying to modernize the French economy too fast. It won’t be enough to announce negotiations, he said in an interview with The Associated Press. People want change and “concrete, immediate, right now” measures. Seventeen of the injured were police officers. 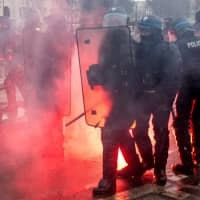 Jean-Claude Delage of the Alliance police union urged the government on Sunday to come up with responses to France’s “social malaise.” He told BFM television that working class protesters were deliberately targeting high-end shops in Paris that were selling goods they couldn’t afford. 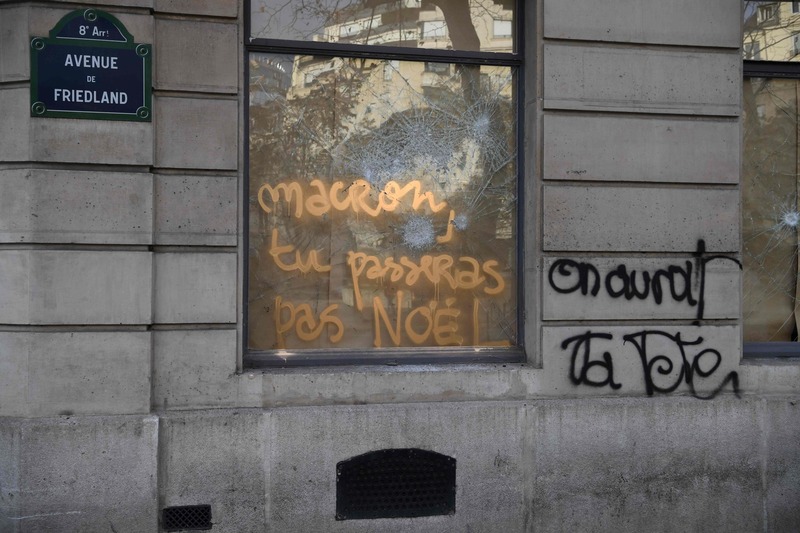 In a knock at Macron, graffiti on the wall of one read: “You don’t cross the street, you take it,” mocking the president’s response to a young unemployed gardener that he can “cross the street” to find a job.